Plan a well-balanced schedule of district events, and recruit teams to carry them out. Decide how Scouting can become involved in selected needs and interests of communities in the district. Help scouting units take part in community service projects. Promote and assist with the planning of council events (such as the Council Show or Eagle Scout dinner). 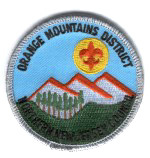 Promote and carry out the district's share of national events (such as Scouting Anniversary Week or a National Jamboree).